Majacraft Special Edition standard bobbin in color. . . color name is "Eastern Blue". Color displayed by your computer may not show to exactly the correct shade as even how bright or how dark you have your computer set may vary from the original photograph... but it's close. Nothing is ordinary in the Majacraft range and their plastic bobbins are no exception. They have a large capacity and are very durable. In fact you can even dye and boil them with your yarn still on the bobbin! 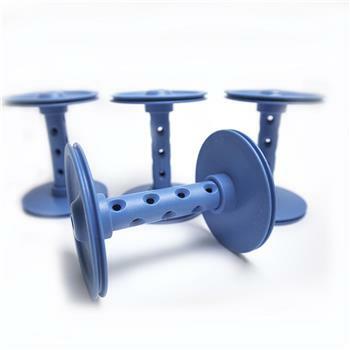 Majacraft wheels come with at least three plastic bobbins unless we are instructed otherwise.